Berry writes that she must reschedule Stone's visit to paint her portrait, and hopes that he can do so before "I get too old and ugly". 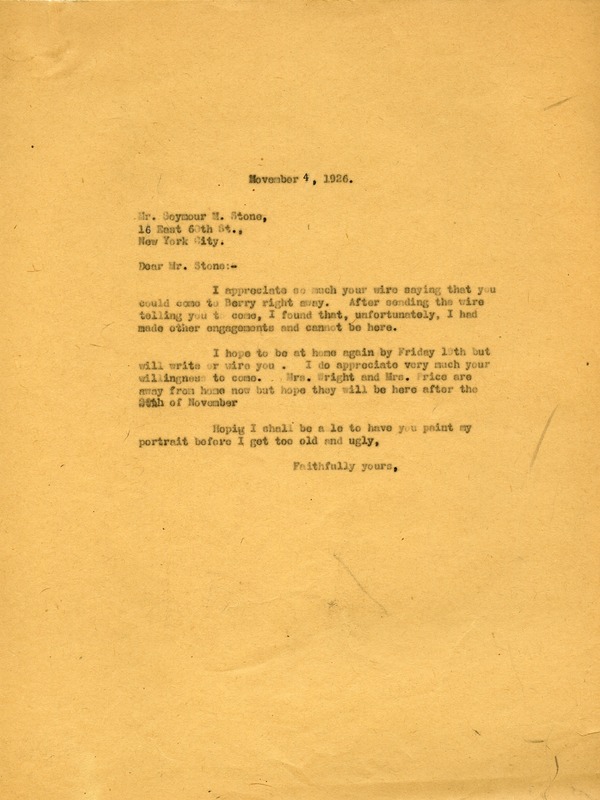 Martha Berry, “Letter from Martha Berry to Seymour M. Stone.” Martha Berry Digital Archive. Eds. Schlitz, Stephanie A., Sherre Harrington, et al. Mount Berry: Berry College, 2012. accessed April 24, 2019, https://mbda.berry.edu/items/show/5891.